At the heart of this unit is the good old Behringer VT999 Vintage Tube Monster Vacuum Tube Overdrive/Distortion. As you may notice from the pics, it has been pretty heavily modified over the time. 1st improvement was a swapped Tube - I think it was an EHX 12AX7 instead of the stock chinese one but it really improves the tone. Then we have here a boost mod plus a bitmo mod to have a different voicing. 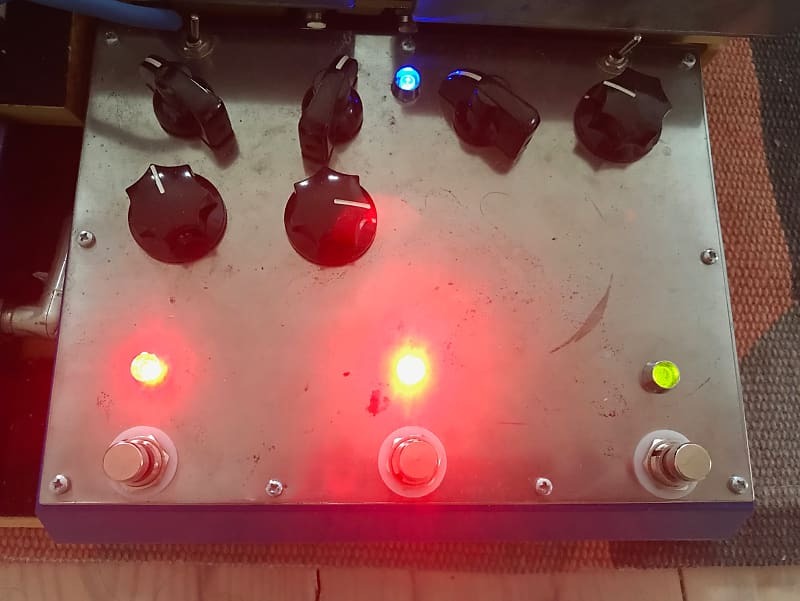 Of course it is now equipped with quality 3PDT switches pluse the cheap slider switches for on-off and noise gate operation have been replaced with good toggles. The box itself has been resprayed in blue and a steel faceplate has been mounted on the top. It could still be etched, engraved etc as you wish so some room for your own imagination has been left here. FYI: Original EU-adapter is included if necessary. If you're in a country where there is no 230V, you can just use a regular "boss type" adapter or power bank of some sort. 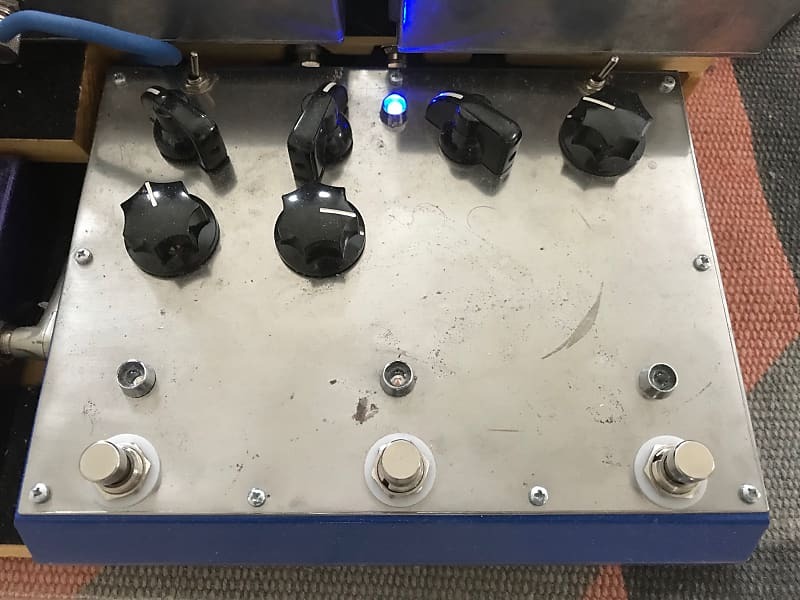 The pedal is consuming 9V 300mA power. Center negative.